It's 2017, why do phones still launch with Marshmallow? Hey OEMs, if your user interfaces aren't ready for Android Nougat yet, then you should go with stock Android only. 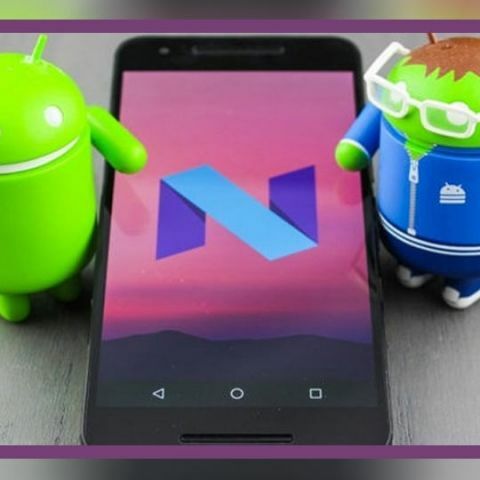 It’s been almost a full year since Android Nougat first started making an appearance on smartphones. Why then, do new phones not run on Android Nougat? I was speaking to a product manager recently, asking him why phones, especially those under Rs. 15,000 don’t run on Android Nougat. I got an answer that was quite appalling. He said since the competition doesn’t provide Nougat either, it’s not something consumers want. Therein lies the problem with the market right now. As a reviewer, I want to tell my readers not to buy a phone running Marshmallow. But my hands are tied too, since I will essentially be recommending the Moto G5 Plus (review) or OnePlus 3T (review) to every reader in that case. I told the said product manager that consumers don’t not want Nougat, they just don’t have an option. To be clear, I’m not mentioning names here since the problem isn’t particular to one company. 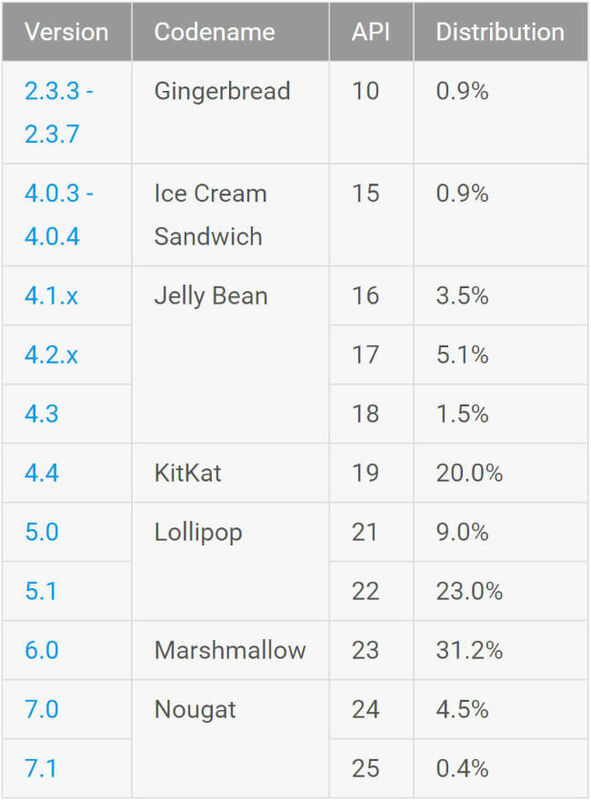 The table below shows the official distribution of Android OSs, as on April 3, 2017 from the Android Developer website. Look at what we recognise as the best phones in the market today. Phones like the Coolpad Cool 1 (review), Honor 6X (review) etc. do not run on Android Nougat. They all promise you updates, but let’s face it, neither Huawei nor Coolpad has a good track record of providing updates. There’s a reason why Motorola makes a big deal of the fact that its phones run on the newest OS. The Moto G5 Plus and Moto G5 have their weaknesses, but I’d recommend them over half the phones in the market, simply because they’re up to date. Everyone’s favourite, Xiaomi has happily marketed MiUI all this while, conveniently ignoring Android updates. We have two Xiaomi Redmi Note 4 (review) units here at Digit, and despite the company announcing a Nougat beta at launch, neither of these phones have Android Nougat. It’s not just the cheaper phones either. Self proclaimed selfie expert, the Oppo F3 Plus (review) is an excellent smartphone in almost every respect, except the fact that it still runs on Android Marshmallow. Same goes for the F3 Plus’ direct competitors, the Vivo V5 Plus (review) and Samsung Galaxy C9 Pro (review). Speaking of Samsung, its recent “premium” smartphones, the Galaxy A7 and Galaxy A5, run on Marshmallow. Pray, why? Is it really a premium smartphone if it doesn’t even run on the newest OS? Here’s the thing. A new operating system seems to make little difference when every new OS only brings incremental updates. However, there are security patches and bug-fixes that you’re missing out on. Of course, you will never really feel this. After all, who really cares about security until they get hacked, or lose control of their bank accounts, right? Frankly, if you don’t care about your smartphone’s security, you shouldn’t be using them. It doesn’t matter whether you use PayTM or other finance related apps, you NEED to care about security. Your phone can lead an attacker to your friends and family as well, meaning you become a vulnerability for your entire social group. In case you don't believe me, here's what Rahul Tyagi, VP, Lucideus has to say about running a phone on older software. 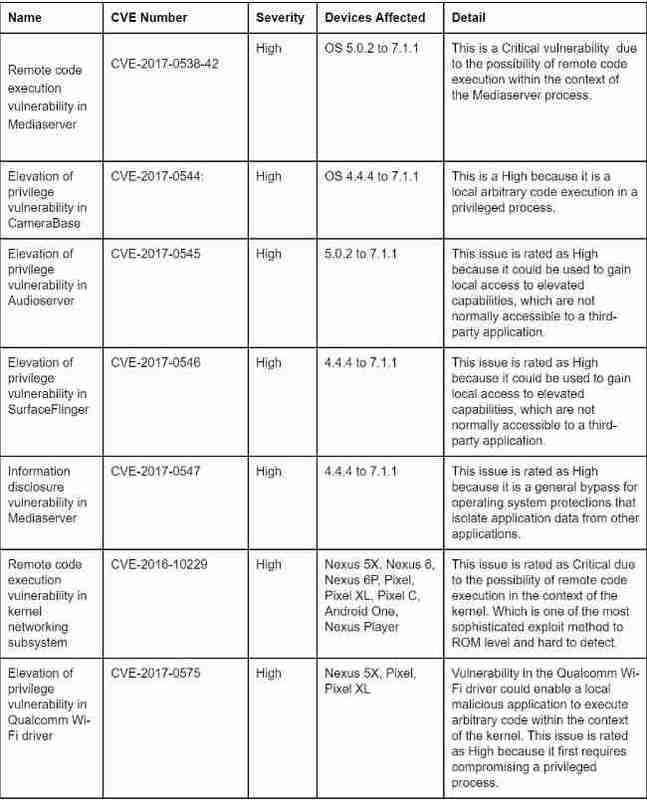 "Google released a bunch of security patches on April 2017 in the release of their latest OS version 7.1.1. There are total eight issues that Google has labeled as “Critical”, which are of major concerns, especially for end-users. Any user using the same OS without security updates can face severe damage, because few of the exploits with critical tag like Remote code execution vulnerability can perform attacks on devices from anywhere in the world." Lucideus shared a list of vulnerabilities that Google has labelled "critical" and patched recently. "As you can see in above table, these are Critical security vulnerabilities that could allow any hacker to perform remote code execution on an affected device with given OS version through multiple methods such as email, web browsing, and MMS when processing media files. The security assessment is based on the effect that exploiting the vulnerability would possibly have on an affected device, assuming the platform and service mitigations are disabled for development purposes or if successfully bypassed. As per a Google press release 'They have had no reports of active customer exploitation or abuse of these newly reported issues.'" But users must download the latest updates from their devices as majority of the attacks which can be done are affecting the Kernel layer which can not be detected by any traditional anti virus solution. So users must regularly check for updates. Not all users will get this update as per hardware and OS fragmentation. But those who are getting, its advisory to update as soon as possible. Even if you don’t care about those patches and bug-fixes, you should still want a new phone to run the newest OS out-of-the-box. That’s because companies are actually playing you here. The market at large accepts a phone’s life cycle as 18 months, and though Android phones can run much longer than that (really, they can), not giving the newest OS is actually a shot at making your phones obsolete. You’re buying a new phone in 2017, which runs on Android Marshmallow. So, your phone is actually a year behind when you bought it. Now, assuming the OEM rolls out a Nougat update by the end of 2017, you’re still a year behind. See where I’m going with this? Even if you want to, your phone is out of date earlier than you would wish. Planned obsolescence at its best, ladies and gentlemen. Consumers do have a role to play here. OEMs shouldn't be getting the chance to say consumers don't want the newest OS. They absolutely do, it's just that they do not have a choice amongst new devices. As far as reasonably possible, buy a smartphone with Android Nougat. For example, if you're choosing between a Lenovo P2 and Moto G5 Plus, go for the Moto G5 Plus, which has Nougat out-of-the-box. OEMs are trying to take the choice away from you, but it's up to you to give it up. Why do people still watch DVD\'s instead of Blu-Rays? Why can\'t we root and edit Windows 8 phones or Lumia phones?